Is Samsung Galaxy Note 9 to be equipped with Selfie camera under Display? Today’s all Smartphone brand moving towards 18:9 Display and some are going ahead with bezel –less design like iPhone X, Mi Mix and more but they couldn’t get rid of notch because of Selfie camera but soon thing can be changed as Samsung Wants to Put Selfie Camera underneath the display along with fingerprint scanner. A patent filed by Samsung with WIPO (World Intellectual Property Organization) in 2017, which was published yesterday, suggests that Samsung is working on moving the selfie camera and the fingerprint sensor under the display along with the earpiece, the proximity, and ambient light sensors. Xiaomi Mi Mix has already achieved the success by placing earpiece underneath the display but it didn’t sound well and also the selfie camera at the bottom which again not a good place to put on. 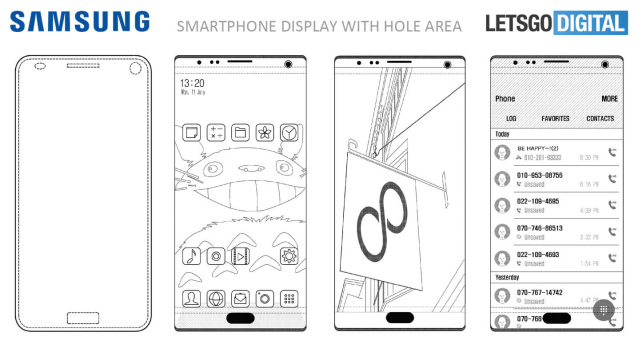 As per Samsung’s patent application, the method titled ‘Electronic Apparatus Having a Hole Area Within Screen And Control Method Thereof’, it also suggests using a transparent OLED. With a high refresh rate, the device could flick the screen on and off and allow the camera to have a look during the inactive periods. Samsung could experiment it with their new Galaxy Note 9. 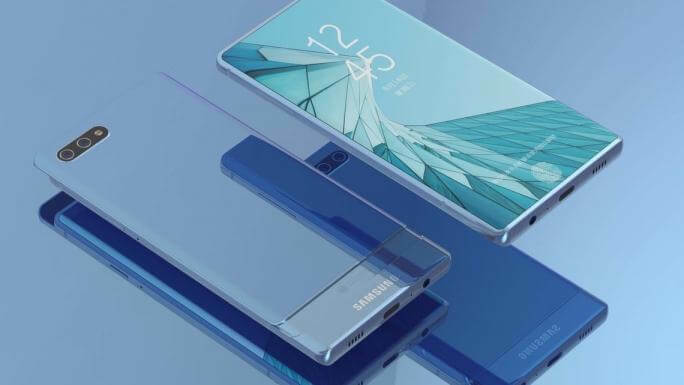 The Samsung Galaxy Note 9 might be the first phone to sport such a display later this year, although Samsung will have a production-ready design in the coming months.